Unless you're whipping up a quick and easy stir-fry for dinner or wowing guests with your culinary prowess by dropping batter-coated chicken balls into a bath of sizzling oil, the wok remains in the cupboard. In other words, you use it only when cooking Chinese food. Even if your wok gets a lot of use when cooking stir-fries or other Asian food, it has so much more potential. Consider these unique ways to make better use of this versatile utensil. With its wide top and plenty of room, a wok is great for tossing a salad. Woks are great for making taco filling or any of the rice-and-pea sort of dishes like arroz con pollo or paella. Since some find using a wok on an electric stove cumbersome and inefficient, use it in a completely un-culinary way as an elegant flower pot to decorate a garden area. A 14-inch wok is perfect for mixing batters and kneading dough. 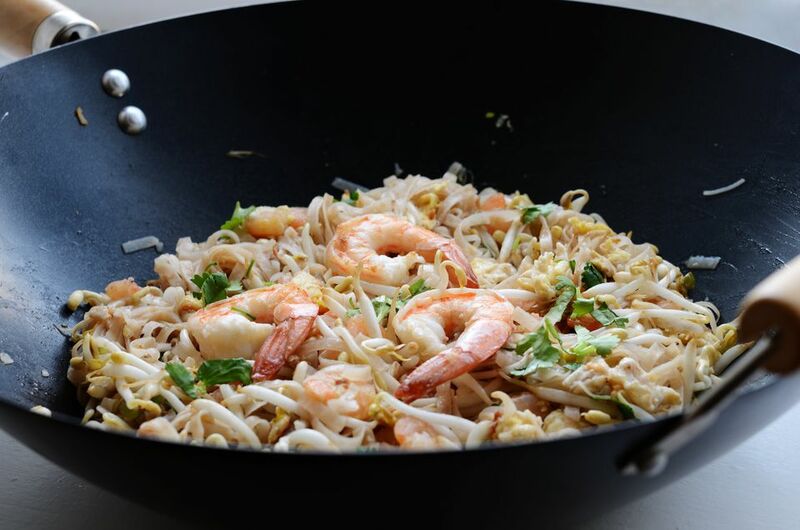 A wok is great for scrambling eggs, especially in large quantities. The eggs cook almost instantaneously, with no sticking, even if you've pre-cooked some vegetables before adding the eggs to the wok. Use an electric wok for beef fondue. It beats a regular fondue set—no denatured alcohol burning (and smelling), and the surface area is bigger. It works like a champ! Just be sure to watch that no one trips over the electric cord. When cooking a Mexican-style meal, set your wok on very low heat and use it to keep tortillas warm. It makes a dandy room freshener -- put some water and a piece of lemon, orange, lime, cinnamon stick, etc, and put it on low heat. Put mesquite chips in a wok and lay a rack over it. It imparts a quick smoked flavor to just about anything. Just make sure you have a good exhaust fan and putting foil on the bottom makes cleanup easier. Use it as a steamer by placing an empty tuna fish can with both ends cut off in the bottom with water. Place a pan on top of the can and you're good to go. You can roast green coffee beans in a wok, though you need to do so outside (lots of smoke). A wok is great for steaming lobster. What is Essential Equipment for Making Great Soup?